The August meeting will be held at the Fruitville Library at 10:30 a.m. After a short business meeting, bring your latest projects and/or finishes to share with the members. 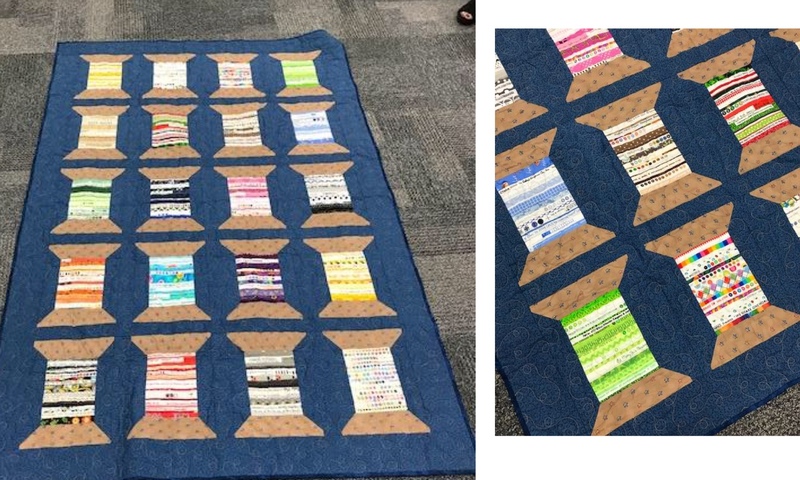 The afternoon program will be the piecing of our QuiltCon Charity Quilt. See the Programs tab for more information on what to bring for the work session. More info is also found on the Activities tab. Marjy Lasita shared the story of her grandson's help color sorting the selvage edges from fabrics.